In 2005, I made the momentous decision to become a British citizen and to swear allegiance to Queen Elizabeth, something I am allowed to do without forfeiting my American citizenship and loyalty. I am proud to be an adopted daughter of Britannia, and felt blessed to take time this past weekend to appreciate the constancy and commitment of our Queen. And believe me… no one puts on a show like the Brits! 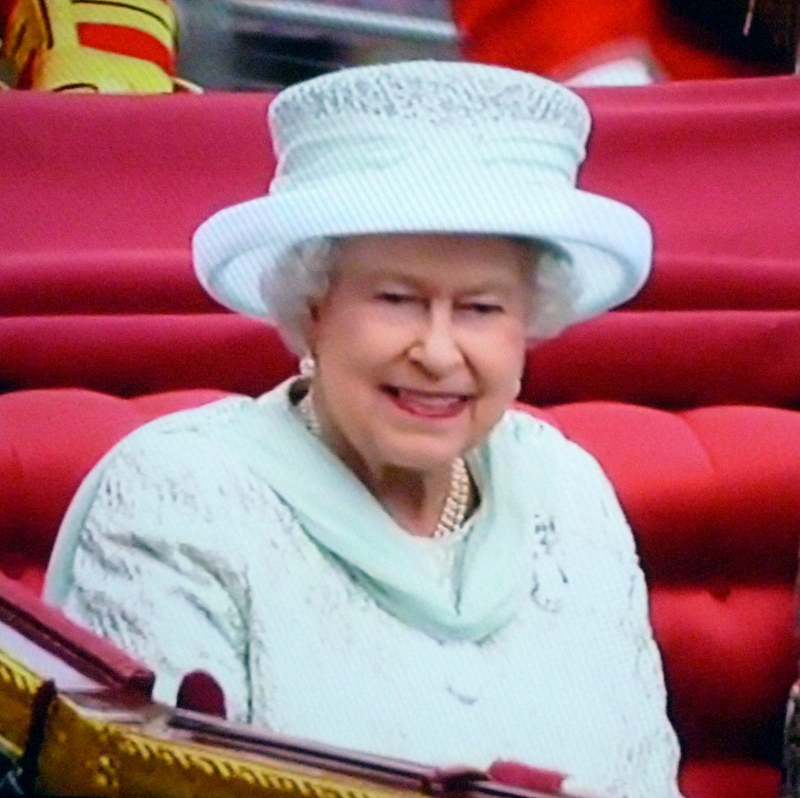 Although we considered going into London to join in the festivities, the rather relentless rain kept us home where we enjoyed the extensive BBC coverage of the Jubilee in comfort and style… snapping photos of the television just for fun, and to give us some colorful memories. And you did. Very cool! What a great and timely idea to feature the Queen! i like what you did with this!! 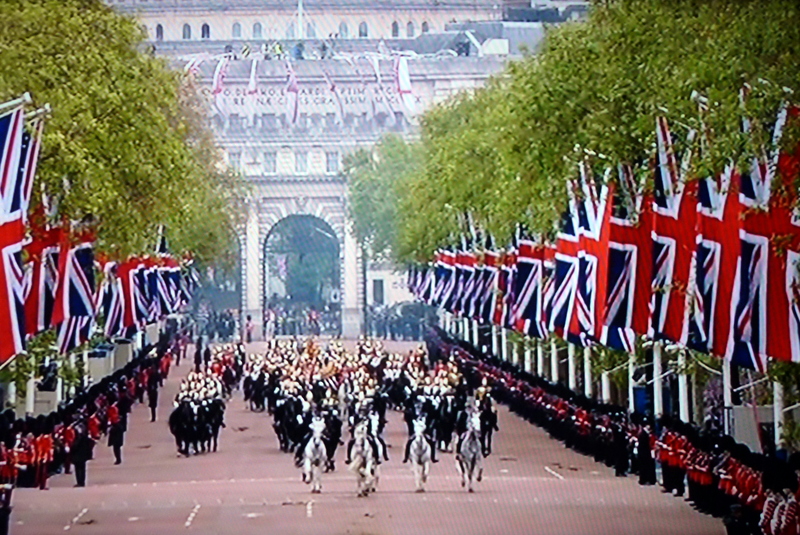 How I’ve loved following the jubilee at home in America. Your haiku summed it up nicely.